Founded in 2005, TradeKing is what is called a “discount broker,” as they give people with less money the ability to get into stock market by charging lower fees. These companies started emerging in the 90’s, as new technology started to develop – particularly with the emergence of the Internet. See TradeKing Pricing and DetailsGet $1000 in Free Trade Commissions! 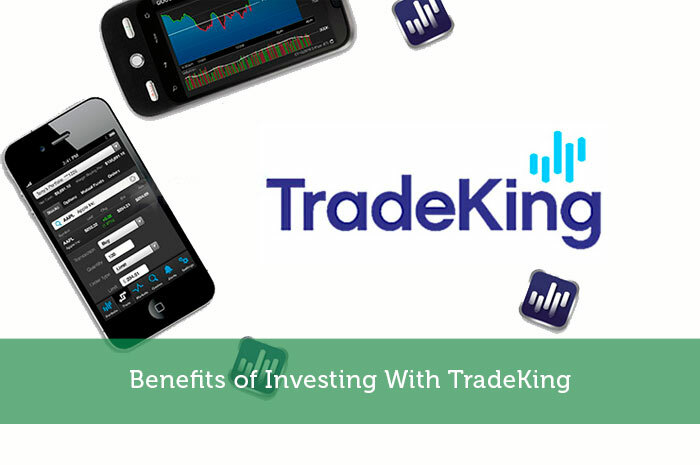 The good thing about a company like TradeKing is that is makes stock trading more accessible to the average investor, as they charge a low fee for every trade. 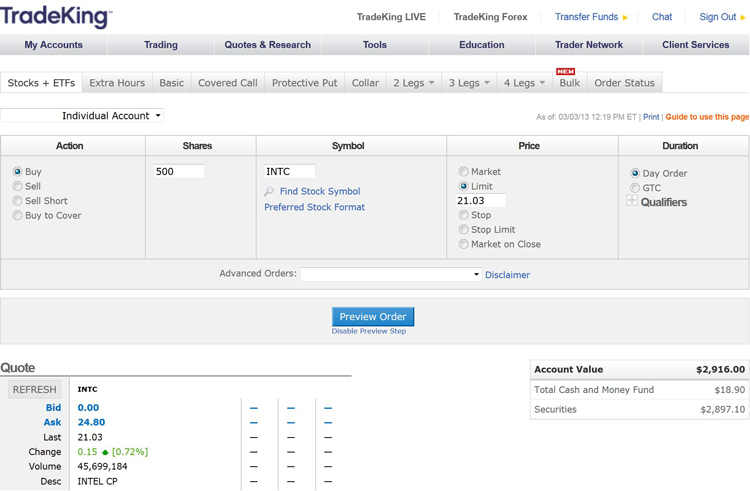 TradeKing charges only $4.95 for every trade, and that includes stocks, options, and ETF’s. This is a cheaper rate than many of its competitors. What’s even better is the fact that TradeKing has no account minimum, which is a far cry from many of its competitors, who require a minimum balance of $1000 – $25,000 before you can start trading. This makes the market even more accessible to someone who doesn’t have a lot to invest in the beginning. The tools offered by TradeKing are not as comprehensive as many of its competitors, but they can still give you a good amount of information. But most importantly, they keep it simple. Newer traders will appreciate this because they might not have enough knowledge to understand the more detailed aspects of the stock market. The good thing about TradeKing is that it gives you the ability to communicate with other traders. This social aspect to the company is an advantage, because it allows you to get investment advice and personal tips from people with more experience. TradeKing can offer a lot to day traders, as long as they abide by certain rules. If a person makes more than three trades in a five-day period (that’s business days, by the way), his or her account is permanently labeled as a “Pattern Day Trader.” Once that happens, they will be required to keep at least $25,000 worth of equity in their account at all times. Otherwise, they will have to keep all their assets until the following morning. This could be an advantage, since day traders have the option to put more in margin than standard accounts. But it’s a double-edged sword. Trading “on margin” can lead to greater profits, but it can also lead to crippling losses. So, you need to be careful about doing too much margin trading. I can’t speak highly enough about the quality of TradeKing’s customer service. In fact, they were voted #1 in 2008 by both SmartMoney and Kiplinger’s magazine. They offer phone, e-mail, and live chat. And they have very professional and helpful agents. Their response times are quick, and they are able to resolve issues promptly. There are many online companies that lack this type of service, so the fact that they do this sets them apart from much of their competition. I personally feel that putting forth the effort to provide solid support on the front end is important because it creates a good customer experience. Call me old fashioned, but it’s nice to hear a friendly voice when I walk into a grocery store or even when I call a customer service line. While TradeKing doesn’t have the comprehensive tools as some of its competitors, new investors will find value in the lower fees and easy-to-use interface. Day traders have an advantage as well because they have larger margin accounts than standard investors. They do, however, need to be careful not to do too much margin trading, as they could lose money just as quickly as they could earn it.